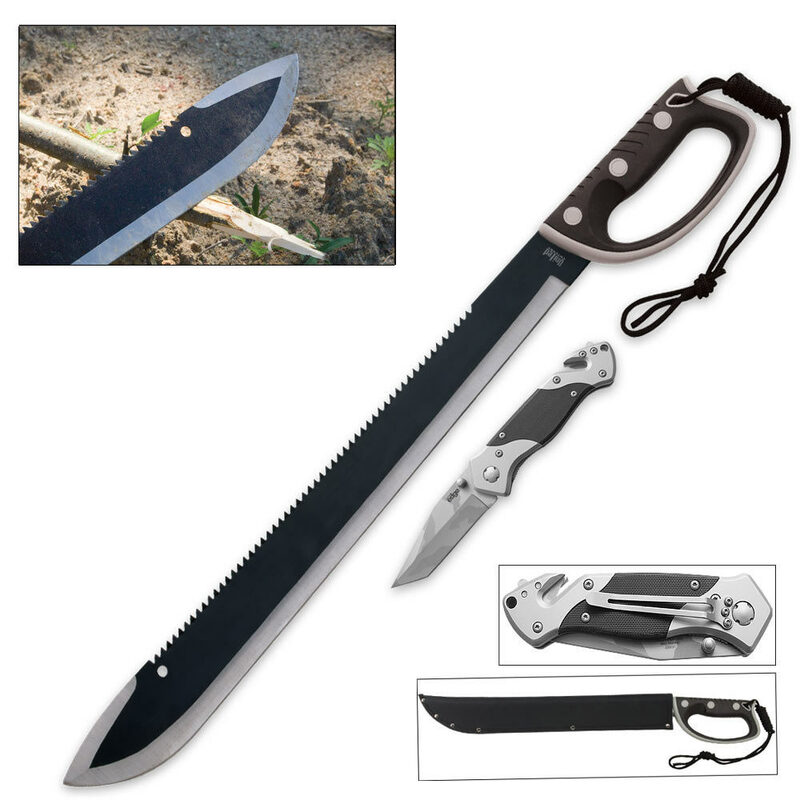 Sawback Machete with Free Tactical Pocket Knife | BUDK.com - Knives & Swords At The Lowest Prices! You will be prepared to take on any disaster you encounter with this exclusive survival set, only from United Cutlery. 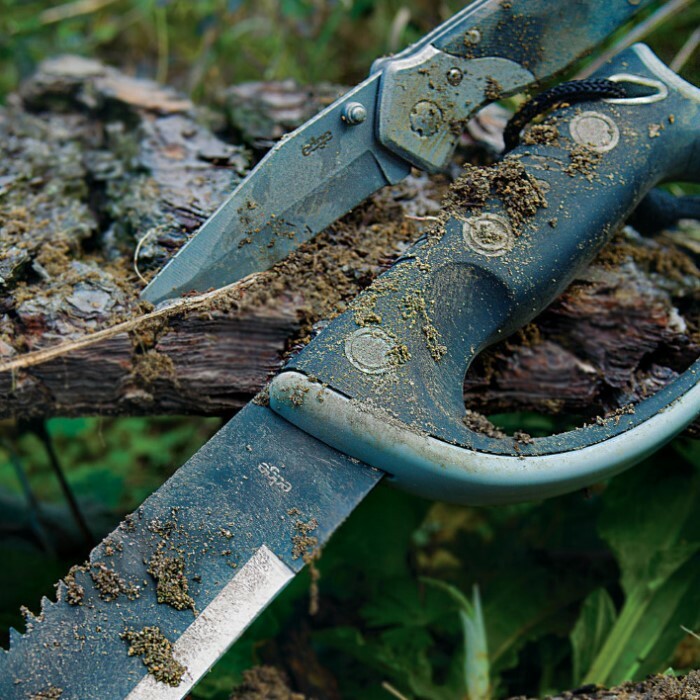 Whether you are out on the hunting trail or braving the depths of the Amazon, you will be ready to face down all sorts of danger with these blades. I have been using mine for over a year. It has held up very well for clearing brush, cutting small trees, and cutting lower limbs off trees. It works well enough for clearing shooting lanes there are several people I have had to refer to Bud K to keep them from making off with mine.For the price, you can't beat it. This is a very good machete it has good weight, and the gaurd is very good when cutting brush because the sticks won't get on your hand .The sheath is also good it has a good release andI like it very much.